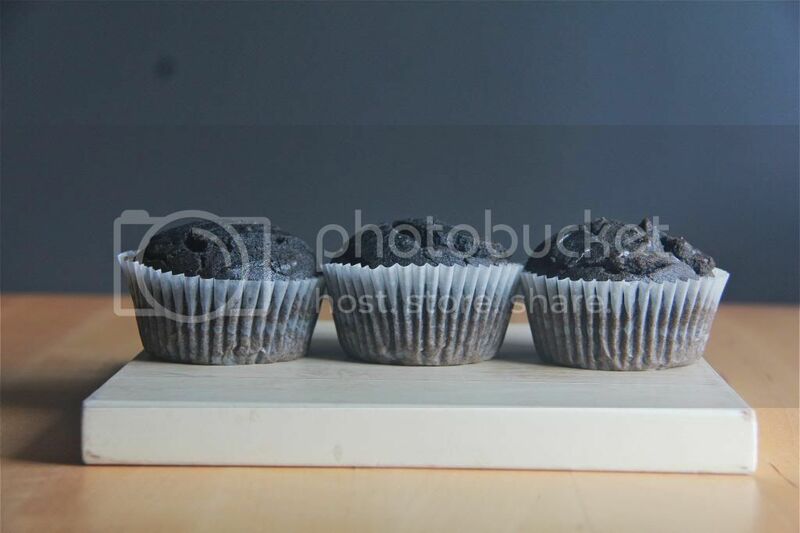 Crumbs and Cookies: black sesame muffins 2.0. 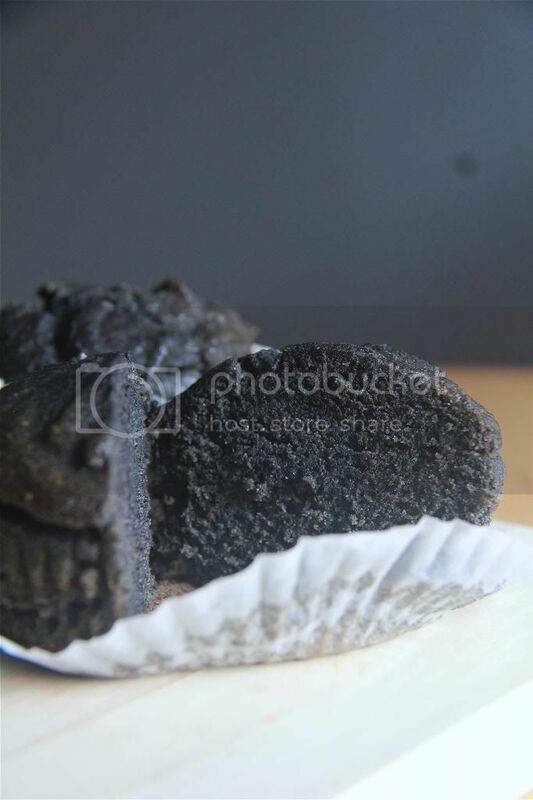 If you can recall, I made black sesame cupcakes not too long ago. They were really quite good, but I felt that I could dial up the sesame flavour even more. And thus I did with my remaining black sesame paste. 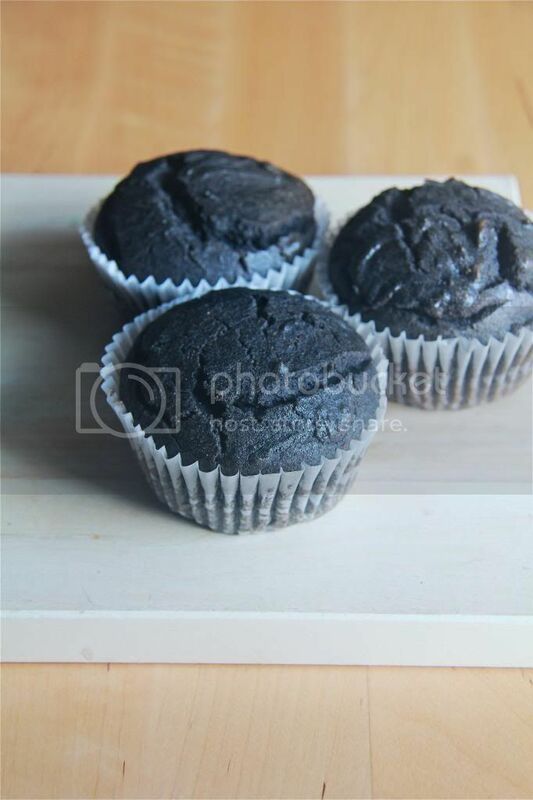 I also mixed the paste with a bit of sugar, rolled it into tiny balls and buried them in the middle of the batter, just to intensify the overall black sesame-ness of these muffins (as if it needed anymore intensification). Hashtag overachiever. Hashtag instagram addict. Beat the butter, black sesame paste and sugar until combined. Add in the eggs one at a time, incorporating the first before adding the next. Stir in the flour mixture (in 3 additions) and milk (in 2 additions) alternately. Fill the paper liners with a generous tablespoon of batter each. 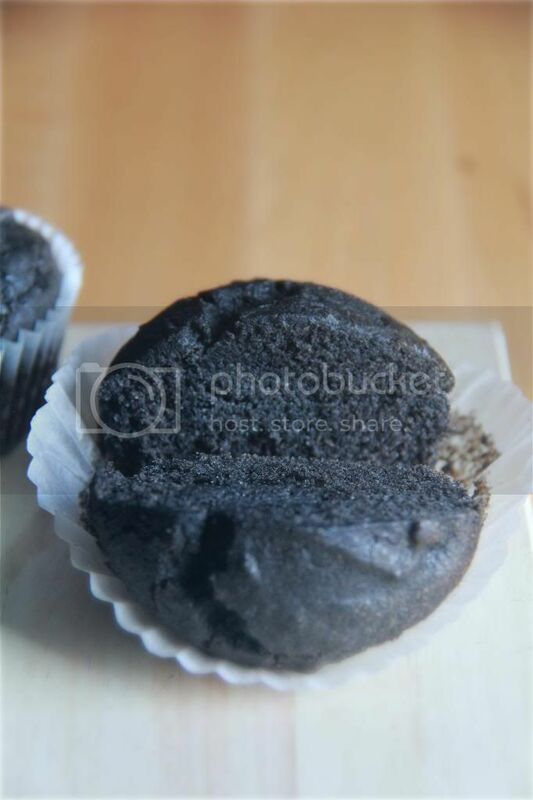 Place a ball of sweetened black sesame paste in the middle of each and divide the remaining batter evenly amongst the paper liners. Thanks for the sesame muffins recipe! May I know which black sesame paste are you using? 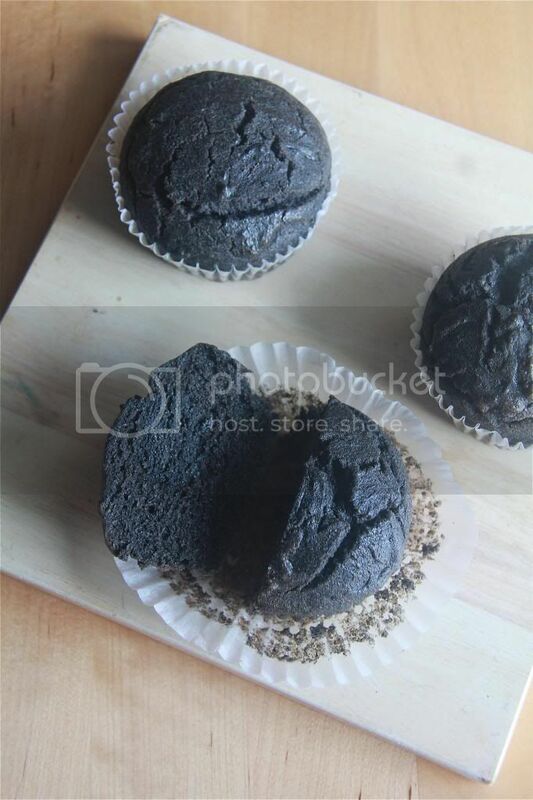 I made the black sesame paste myself:) It's really easy to do - just dump the black sesame seeds in the food processor and keep processing until it becomes a paste!